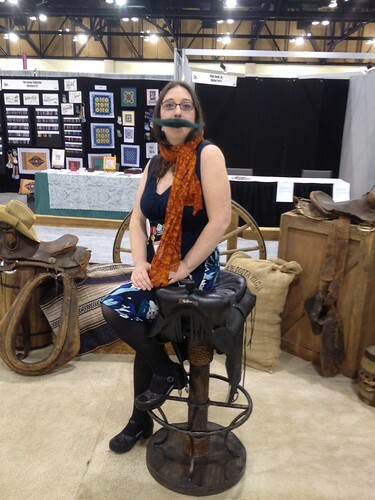 This post is going to be a bit of TNNA, a bit of silliness, and a bit of catching up since it’s been 2 weeks since my last blog. 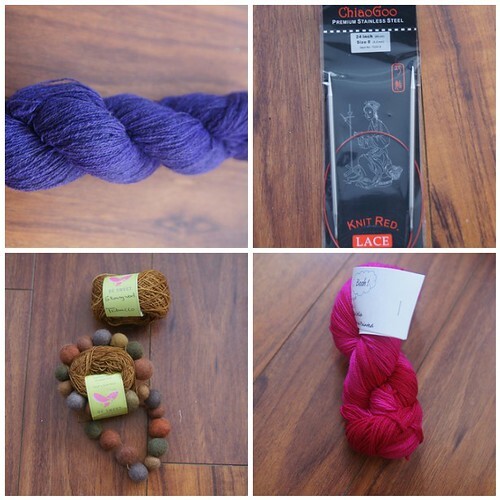 I’ll talk about the new knitting products I’m excited about, show off the photos I took at TNNA proper, play a little catch up with the kids and link to a Flambe Shawl KAL that’s going on on Ravelry. 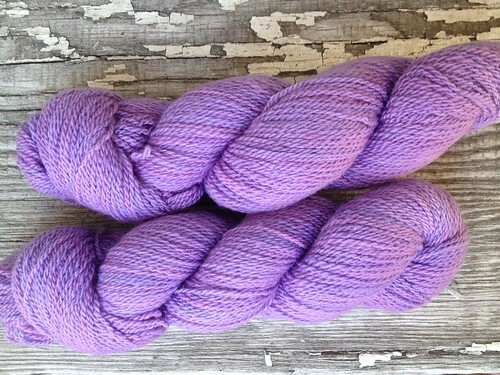 I’m very excited to be working with Lorajean of Knitted Wit and her beautiful Feather Weight yarn in Orchid. Stay tuned for another collaboration announcement with Knitted Wit and Sincere Sheep coming later this week. 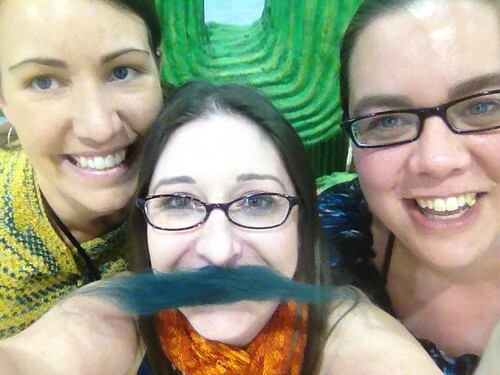 TNNA was a whirlwind, from beginning to end. This photo captures pretty much all of my emotions surrounding the show. 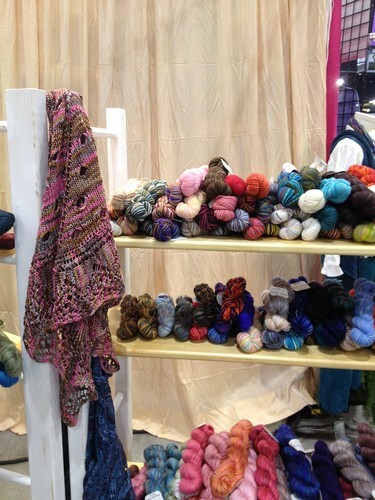 Claudia’s Booth, with my Wave or Particle shawl nestled among the pretty yarn. 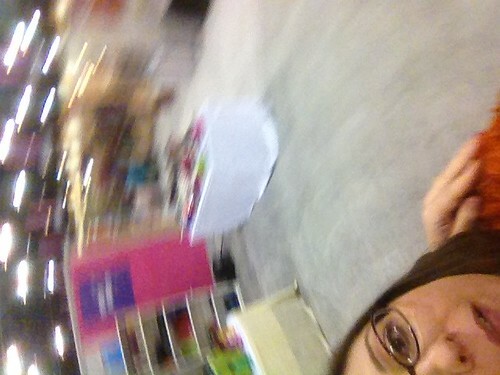 As you can see from the self portraits the weekend got sillier and sillier as the exhibitors got more and more delirious. I tried not to stalk people. Much. 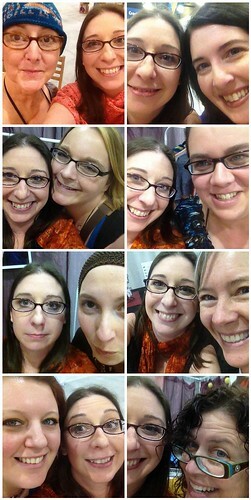 For some reason these lovely, hardworking women agreed to participate in my obsessive picture taking. I hope you enjoy the results. Let no one say that the needlework business isn’t fun. And my ever patient driving buddy, booth Betty and bathroom break giver, Holly Knitterotica. But that’s not all! Hilarity ensued. (Roxanne and Suzanne are such good sports! I blame it on the security guy, he’s the one that provided me (us) with the fake roving mustache. And with that we can finally put an end to the mustache trend. I killed it in Phoenix. But I forgot my spurs. Is that a trend? Maya in Monica’s sweater, thanks Monica! She promptly asked me to knit her a pair of matching socks. 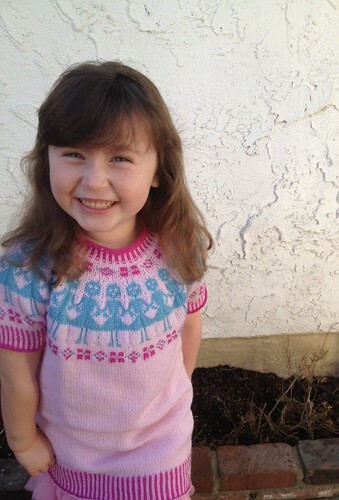 The kid loves her knitting. 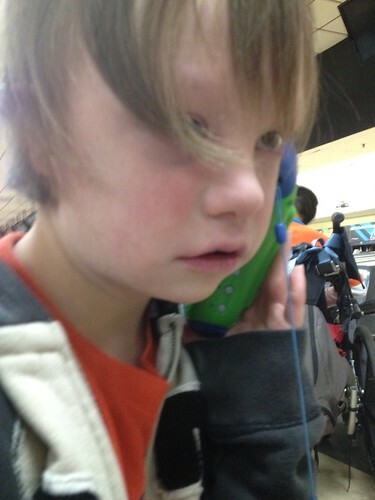 Dmitri had his first class field trip to the bowling alley. I was excited to be a chaperone and discovered something new! D likes to joyride in the wheelchairs that belong to other kids. If you look in the top right of the above photo you’ll see the particular wheelchair in question. I spent the field trip keeping my kid from hot wiring his classmate’s wheel chair for a joyride up and down the lanes. Some fun loving ladies on Ravelry are hosting a Flambe Shawl KAL. Check it out here.